Updated Monday January 14, 2019 by Tony Metzler. ​Majors division is for some Leauge age 11 year olds and all 12 year olds. 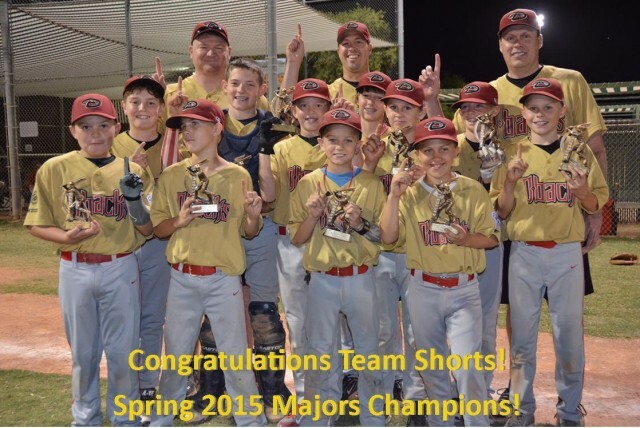 The Majors division is for boys and girls Little League Ages 11-12. During the spring these teams are assembled based on individual tryouts and a draft by the Managers. The Majors division is a "player pitch" division, meaning that a team player will be the pitcher. Rosters may be composed of 11 or 12 players. More detailed rules can be found in our Local Rules. This is a competitive division. Some of these players will be selected to be on the GALL All-Star Team! There will be a tournament at the end of the season and trophies will be awarded to the top 2 teams in the Spring. Majors Games will be played at Crossroads Park on Monday - Wednesday - Friday at 5:30 & 7:45. There may be some Saturday games during the Spring.